I'm taking time to say Happy Mother's Day. Yes, hi mom! 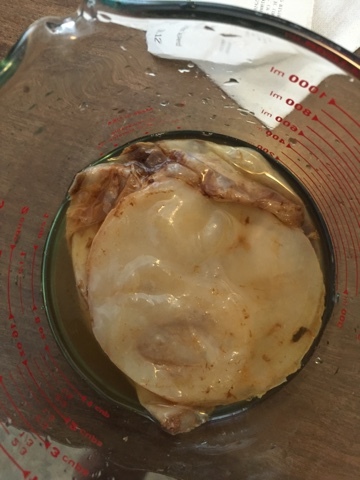 But this post isn't about you, this post goes out to the mother in my kombucha, SCOBY Bryant. You have made about 5 batches of delicious kombucha and for that I am thankful! Because of this you make more SCOBYs for me to pawn off on friends or to just include in the next batch of kombucha. Happy Mother's Day SCOBY Bryant.